HomeAdvice & TipsQ: Will a franchisor provide me with earnings projections? Q: Will a franchisor provide me with earnings projections? 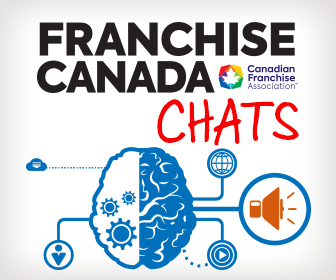 Throughout the evolution of franchise disclo­sure legislation and case law in Canada, the disclosure of financial performance representations and earnings pro­jections to franchisees has been an ever-present topic. 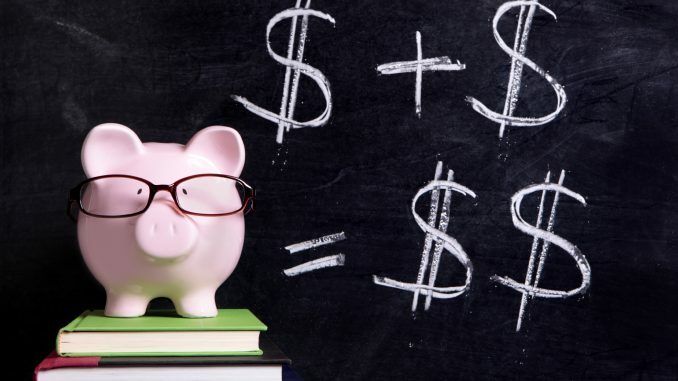 In considering franchise opportunities, franchisees invari­ably want to know – “how much will I make?” This invites the franchisor to discuss possible future earnings, and present financial information. However, if there is a break­down in the franchisor-franchisee relationship, franchi­sees typically point to those same earnings projections and change the question to “why didn’t I make that much?” Earnings claims are often the first place where a disgrun­tled franchisee will look to allege there was some misrep­resentations or improper disclosure by the franchisor. So what will constitute earnings projections? The term is defined under the Alberta Act, BC Act, PEI Act, New Brunswick Act and Manitoba Act as “includ[ing] informa­tion given by or on behalf of the franchisor, directly or indirectly, from which a specific level or range of actual or potential sales, costs, income, revenue or profits from franchises or businesses of the franchisor or of the fran­chisor’s affiliate of the same type as the franchise being offered can easily be ascertained.” This could take the form of models provided to a franchisee with numbers inserted, marketing materials, or could simply come from a conversation between franchisee and franchisor. While the Ontario Act does not define “earning projections” the above concerns are still relevant to the Ontario regime. the place where substantiating information is avail­able for inspection by the franchisee. In disclosure provinces, franchisees have the statutory right to “rescind a franchise agreement, without penalty or obligations, no later than two years after entering into the franchise agreement if the franchisor never provided the disclosure document.”² A franchisee will likely seek to rescind the franchise agreement on the basis of this provision if it fails to receive any of the required disclo­sure surrounding earnings projections and no longer wants to continue as a franchisee. Often the sales process drives the desire to include finan­cial performance representations. Any information that a franchisor, or its sales team, provides to franchisees may constitute an earnings projection, and must then be included in the disclosure document with appropri­ate disclaimers. Gone are the days of providing financial representations on the back of a napkin. We encourage franchisors to give their sales people something to talk about and provide financial performance representa­tions in the franchise disclosure document. Franchisors must carefully consider whether infor­mation they provide about the franchise could be con­strued as an earnings projection. The most common financial performance represen­tation relates to the actual gross revenues of existing locations in the franchise system. These figures are preferred because they represent actual facts. The recommendation is to provide the annual gross sales for the previous fiscal year for corporate and fran­chised locations that have been operating for at least a year. This information should include all locations as selecting less than all locations could potentially be seen as “cherry picking” and skewing the results being presented. The annual gross revenues can be presented in many different ways. For example, they can be grouped by region, by urban vs. suburban, by how long locations have been open (one to three years, three to five years, five years plus, etc.) or by square footage (small, medium or large format locations). When putting this information together, the overrid­ing goal is to always ensure the information is not mis­leading in the way it is presented, that the information can be verified and if there are any assumptions used, that they be disclosed. Franchisors will occasionally provide a model or template worksheet for their prospects to work with (on their own or with various advisors) so that the prospect can develop a business plan and forecast. A pro-forma is commonly used to give some guidance to prospects, however it is best practices that these remain as open ended as possible, and that the fran­chisor does not make any representation as to what the actual or forecasted expenses will or will not be. A franchisor should leave it to the prospective franchi­see to arrive at their own estimates about potential future profit. In provinces without franchise legislation, the fran­chisor should still be live to these issues. If a franchisor sells franchises based on false earnings projections they could face common law claims for misrepresenta­tion, or for a breach of their duty of good faith. Financial performance representations and earnings projections are an important part of the disclosure process and must be adequately and continuously addressed if being used by a franchise system. They are a useful sales tool for franchise systems, and pro­vide a wealth of information to a prospective fran­chisee, which in turn provides a tool for franchisees to evaluate the franchise business. More and more franchisors are embracing the need to provide finan­cial performance representations as part of the sales process. This better informs prospective franchisees leading to a more considered and reasoned decision to purchase. ¹ S. 16 of Sched. 1 to the Franchises Regulations, Alta Reg. 240/95, of the Franchises Act, RSA 2000, c. F-23 (the “Alberta Act”); S. 11 of the Franchises Regulations, BC Reg. 238/2016, to the Franchises Act, SBC 2015, c. 35 (the “BC Act”); S. 6.3 of the General Regulation, O Reg. 581/00, to the Arthur Wishart Act (Franchise Disclosure), 2000, SO 2000, c 3 (the “Ontario Act”); S. 11 of Sched. A to the Franchises Regulations, Man Reg. 29/2012, of the Franchises Act, CCSM c. F156; SM 2010, c. 13 (the “Manitoba Act”); Part 3 – S. 5 of Schedule I to the Franchises Act Regulations, P.E.I. Reg. EC232/06, of the Franchises Act, RSPEI 1988, c. F-14.1 (the “PEI Act”); and Part 3 – S. 5 of Schedule A to the Disclosure Document Regulation, NB Reg. 2010-92, to the Franchises Act, RSNB 2014, c. 111 (the “New Brunswick Act”). ² See Alberta Act at Section 13, BC Act at Section 6, Ontario Act at Section 6, Manitoba Act at Section 6, PEI Act at s. 6, and New Brunswick Act at s. 6. ³Mendoza v. Active Tire & Auto Centre Inc., 2017 ONCA 471. ⁴ See Giroux et al. v. 1073355 Ontario Limited o/a Schooley Mitchell Telecom Consultants et al., also see Sovereignty Investment Holdings Inc. v 9127-6907 Quebec Inc. ( O.J. No. 4450, 171 A.C.W.S. (3d) 597), Four deficiencies in the franchisor’s disclosure document in this case: (1) failure to include financial statements; (2) failure to include statements related to earnings projections; (3) failure to provide the disclosure at once in one single document; and (4) failure to include the franchisor’s certificate. The court noted that each of these deficiencies on its own was fatal to the franchisor’s assertion that it provided a disclosure document; the franchisee was entitled to rescission under section 6(2) of the Ontario Act.